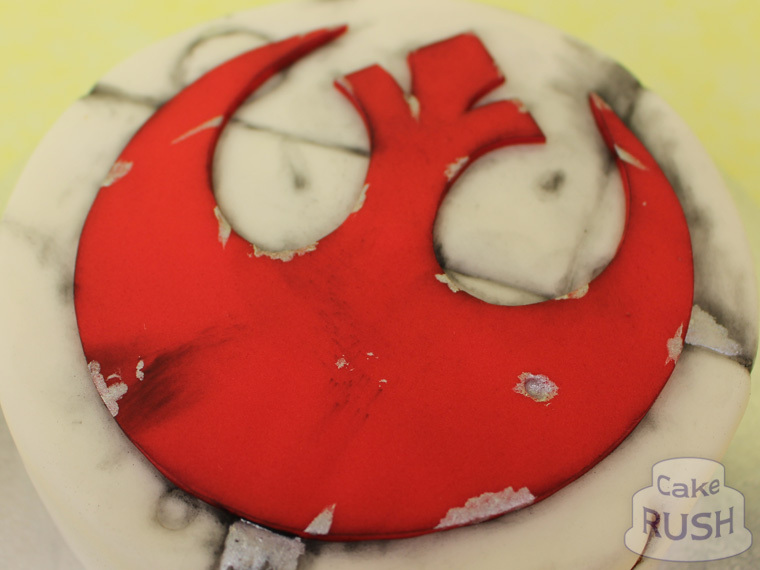 For Oli's recent birthday we dashed off this Star Wars-themed cake showing the rebel logo in a suitably worn finish. 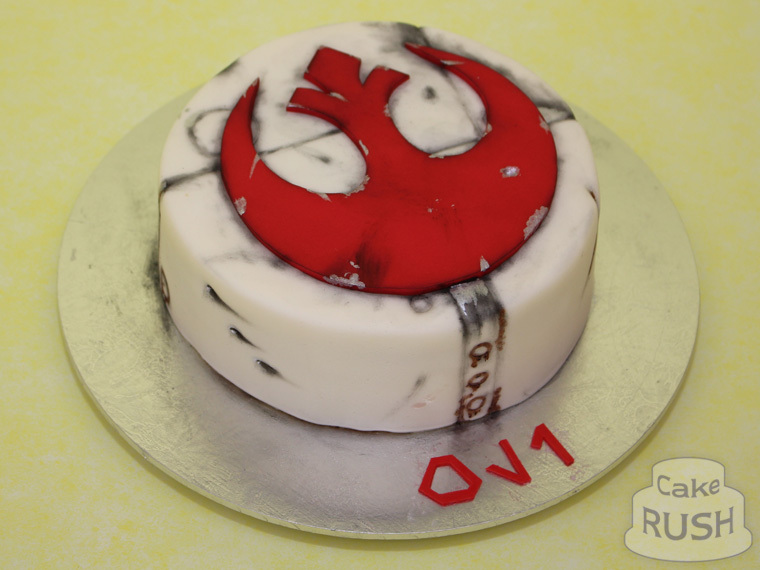 The base features Oli's name written in aurebesh, which is the alphabet in the Star Wars universe. You knew that, didn't you?